When Surrey Satellite Technology Limited in the United Kingdom was considering opening its U.S. headquarters, the state that continually elevated to the top of its shortlist was Colorado. Although the firm already had a small presence in the state, it was Colorado’s prominence in the nation’s aerospace industry, critical mass of satellite companies and related technology firms, experienced workforce and an investment from the state and county that solidified the decision for Surrey executives. Today, Surrey Satellite, a full mission small satellite manufacturer with capability to provide a mission from concept to operations, has grown to 25 employees in the state and expects to double its workforce in the next five years. 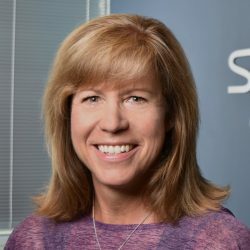 While Surrey Satellite’s parent company is well known for being vertically integrated and has the capability to take piece parts in and push satellites out, the current model in the U.S. is based on leveraging partner relationships in Colorado as needed to best meet the customer requirements.